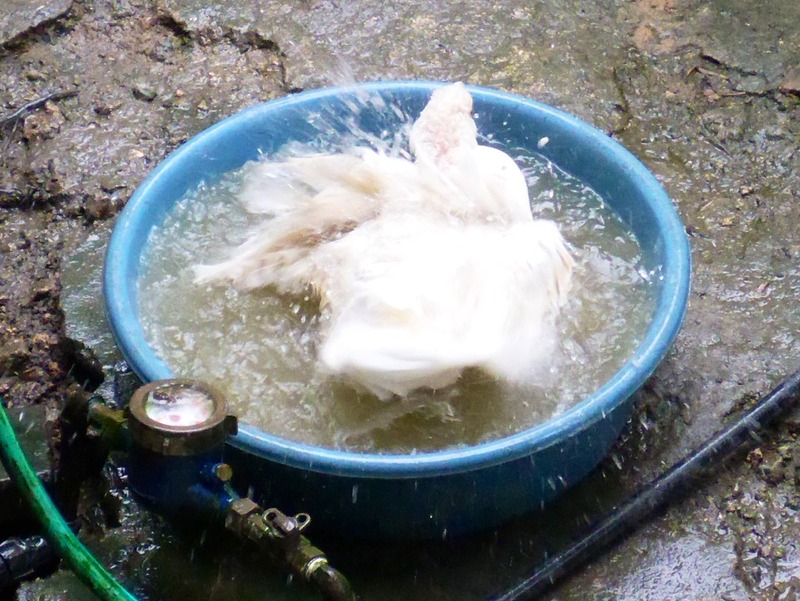 While chickens bathe and clean themselves by dusting with sand or dry earth, our ducks prefer a good swim. The Muscovy duck is a tropical duck. It prefers habitats with water and sheltered trees. So if you’re thinking of keeping some ducks, you’ll need to make provisions for water. 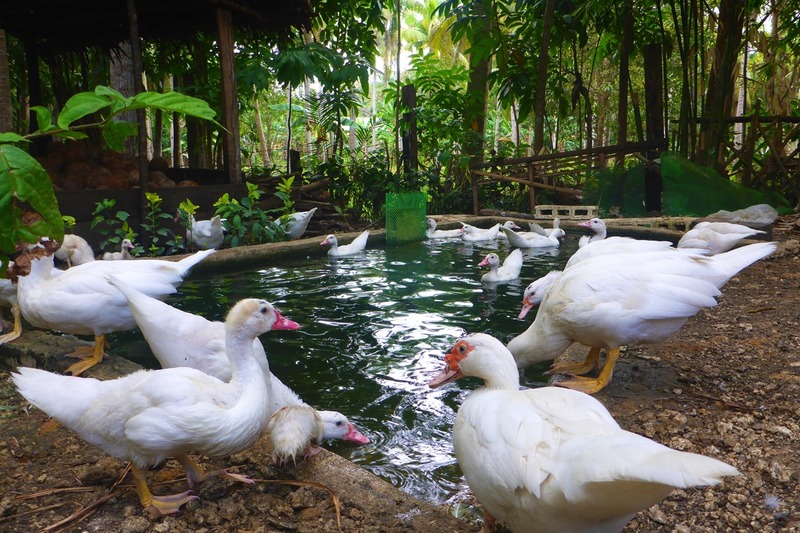 In the beginning, when we had only a pair of ducks, we managed by providing them with a basin of water. As the duck population grew, a duck pond became a necessity. A basin of water seems to suffice for one duck. Duck hen with her chicks having a well-accomplished bath in a tray of water. Recently, in addition to the duck pond, we have provided trays of water for ducklings. This is a much safer alternative for them. If they joined the larger ducks in the pond, they often get hurt and drown. 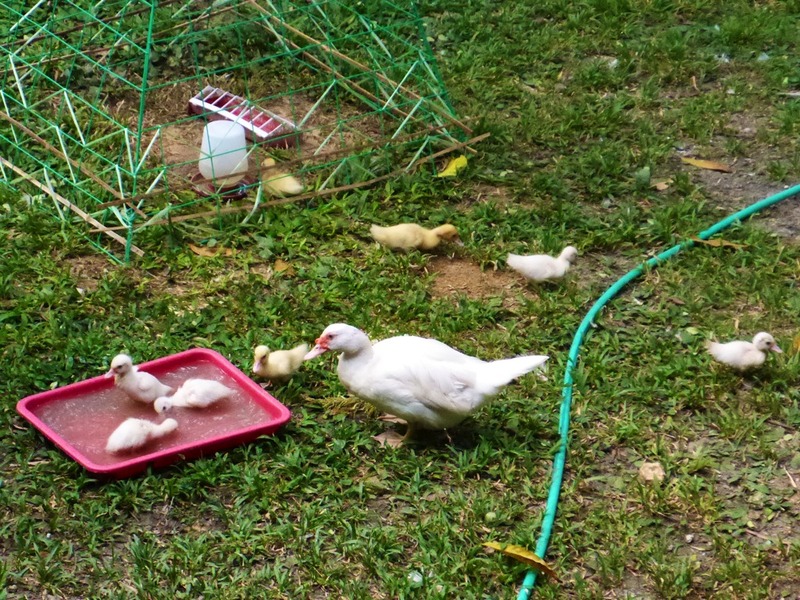 Usually, the hen will accompany her ducklings to the pond for a swim. She makes sure that they get to swim only after all the other ducks have left. However, that doesn’t always guarantee the duckling will be safe from larger ducks suddenly wanting to jump into the water. Once, I saw an adult duck using the tray. As they say, if there’s a will, there’s a way. 😉 And she looks very much satisfied with the amenity. Thanks goodness there wasn’t any ducklings in that tray! Next Next post: Do Ducks Know How to Grieve?